This wonderful mini-vacation features everything that is GREAT about New Orleans!! You will experience the music, the food, the art and the ambience that only is found when you go “way down yonder in New Orleans“. A once in a lifetime experience will be the French Quarter Music Festival. This uniquely New Orleans event features some of this city’s finest food, music, and all-out fun – a celebration of life in the French Quarter. From Bourbon Street to Jackson Square, more than twenty stages will be rockin’ throughout the four-day weekend. You’ll hear everything from traditional and contemporary jazz, Latin, rhythm and blues, Cajun and zydeco, New Orleans funk, classical, swing, rock, international and the many diverse sounds that make New Orleans such a varied cultural phenomenon. With more than 150 New Orleans’ favorite musical performers due to entertain—you may even see and hear some real New Orleans legends and international all-stars. When I was in New Orleans I fell in love with zydeco – this music just makes you HAVE to smile. What is it you ask? Well, it is the popular music of southern Louisiana that combines French dance melodies, elements of Caribbean music, and the blues, and is usually played by small groups featuring the guitar, the accordion, and a washboard- and is nothing but fun. You know I’m always all about the FOOD. At the festival – what extraordinary culinary experiences you will have!! More than 60 food and beverage booths will be scattered throughout the French Quarter offering everything from jambalaya, po boys, crawfish etouffee and of course the most wonderful pralines that ever crossed your lips. Your stomach will think it’s died and gone to Cajun/Creole heaven! 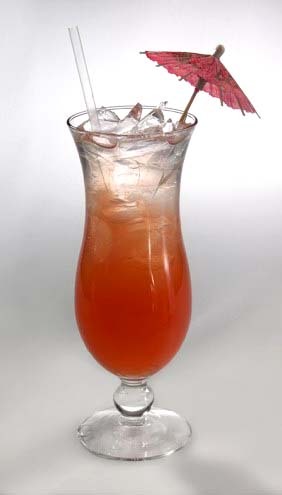 You may also get to sample Pat O’Brien’s Hurricanes or a Category-5!! Watch out though, they’re potent! Lots of “umbrella” drinks add to the experience – and the fun. The French Quarter Festival also features free tours of hidden patios and gardens of French Quarter homes, a Pirate’s Alley art show, the world’s largest praline, fireworks on the Mississippi River and more. This is one trip that you’ll remember forever. Take a look at the complete itinerary and plan to join us on this exceptional interlude – I’m certain that you’ll smile every time you remember this unique and fun-filled adventure.